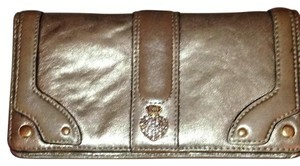 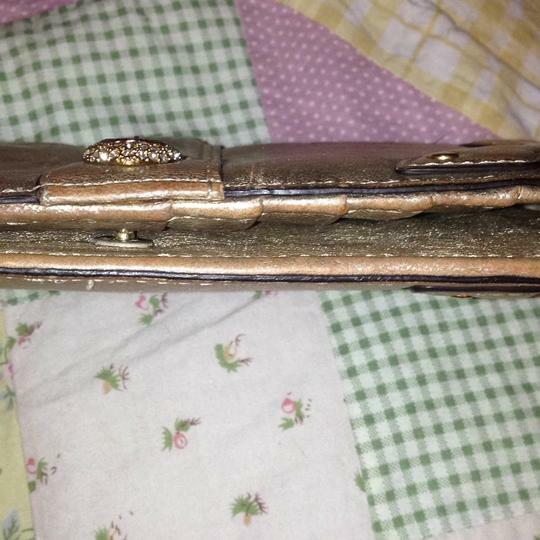 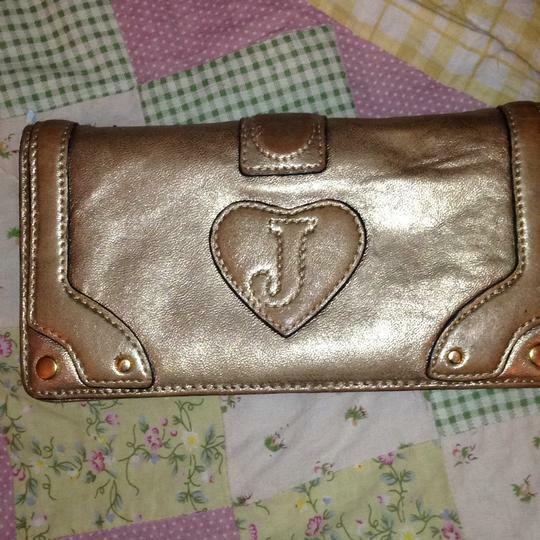 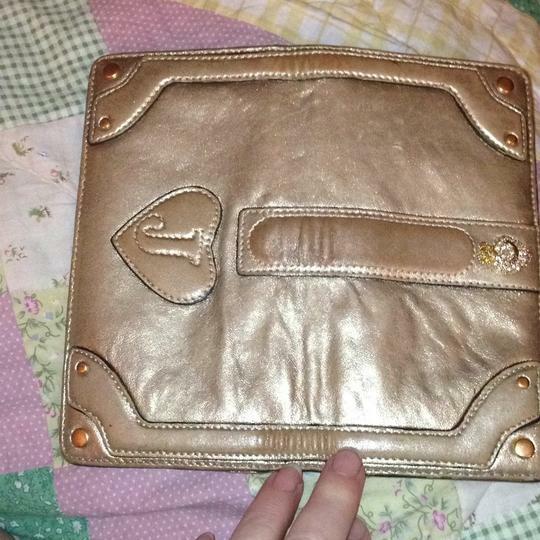 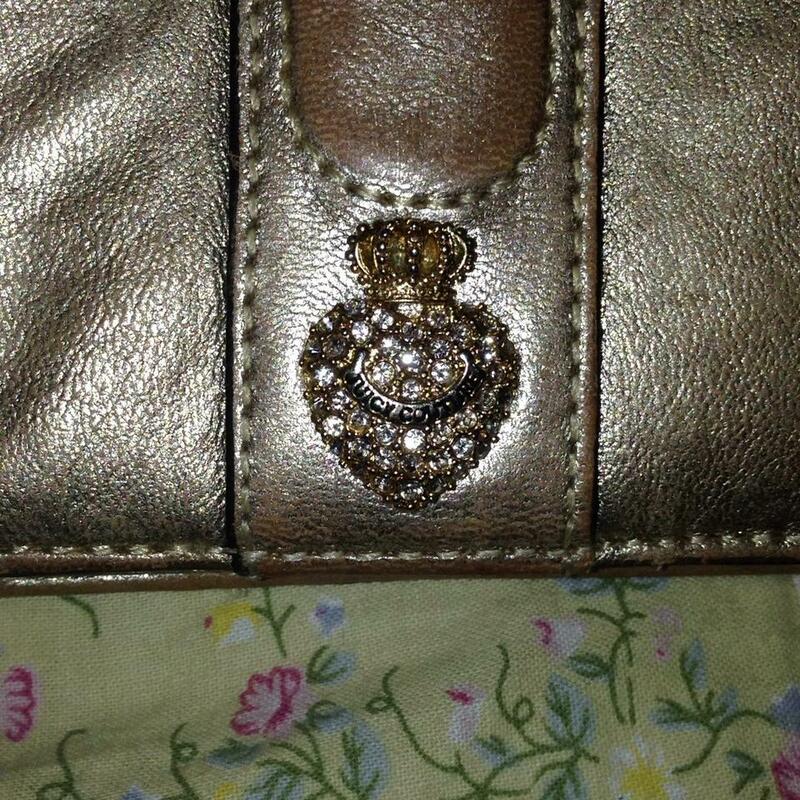 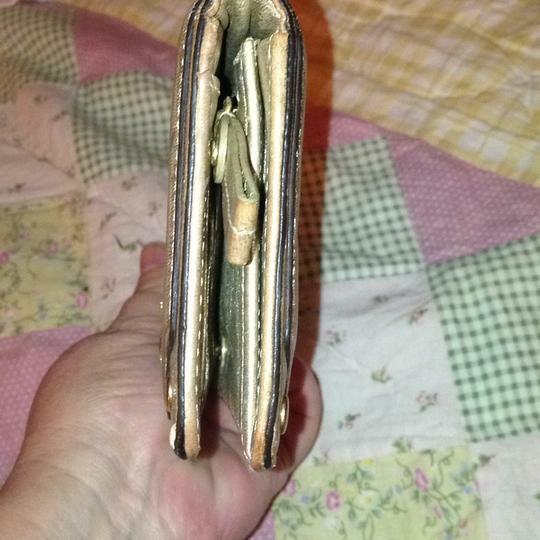 Gold wallet with a sparkle heart (with a crown) on front. 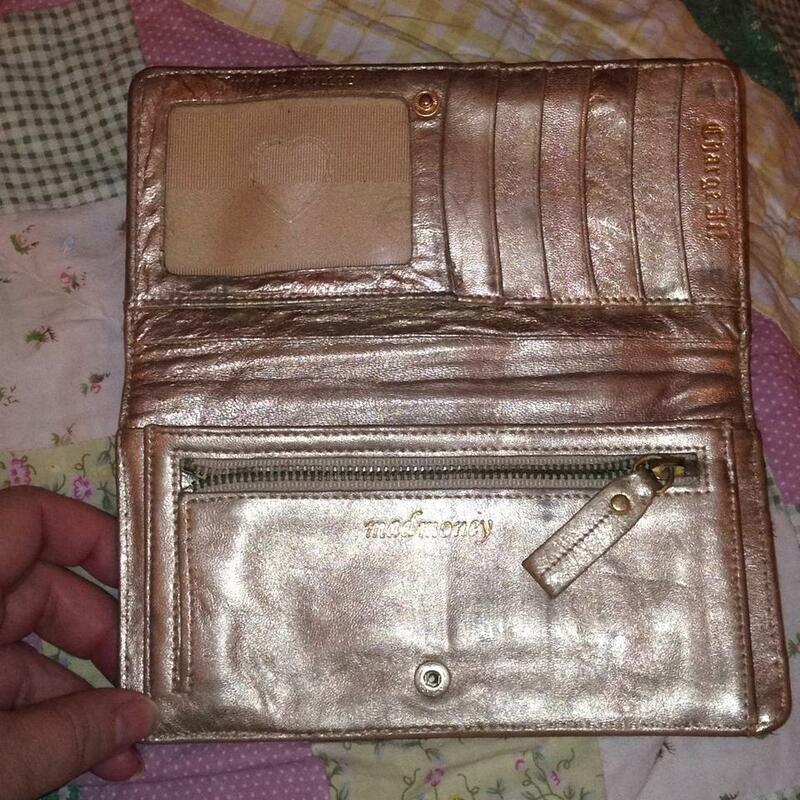 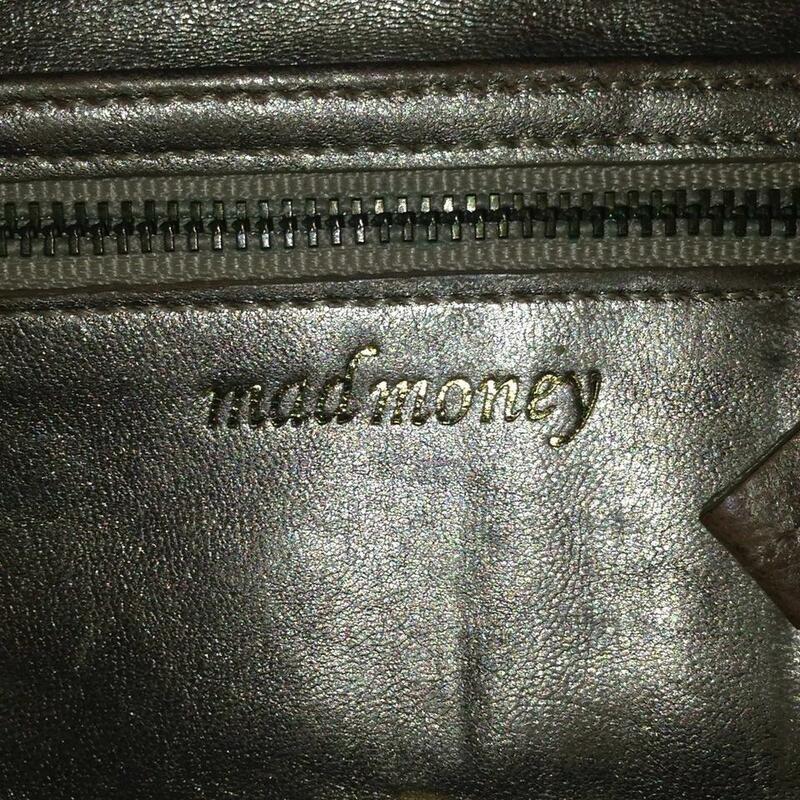 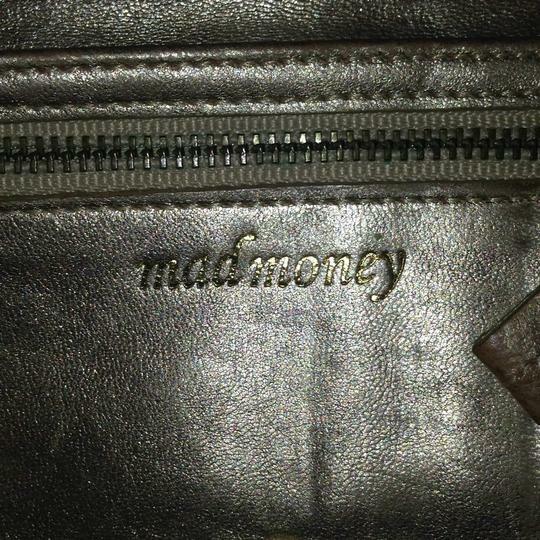 Zipper pock for change inside along with a pocket for paper money, ID window and slots for cards. 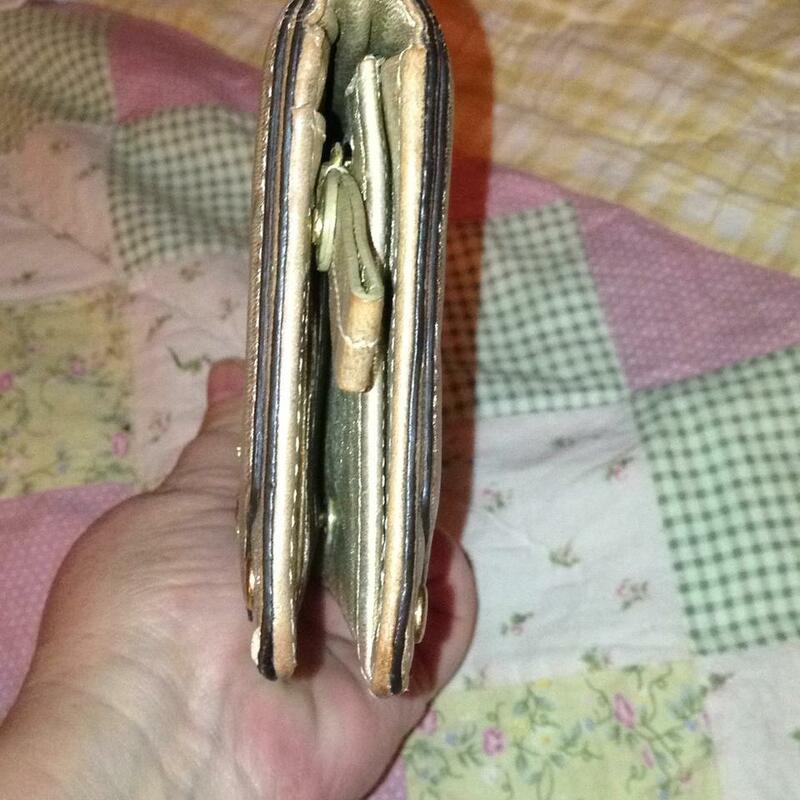 Also had two extra pockets behind slotted area and ID window.